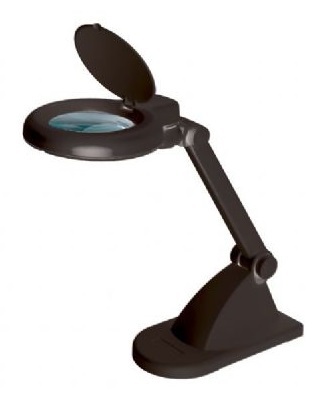 Perfect for precision work, this lamp magnifies and lights up the work surface. Features 3 1/2" diameter, 3+ 12-diopter glass lens with 1.75x magnification. Adjustable lamp head and arm.